Virgin Media to launch subscription-based unlimited music download service | What Hi-Fi? And the company says the new service, which will allow users to both stream and download music from the Universal catalogue, is set to "bring about a rapid and permanent change in the way UK consumers buy and listen to music." 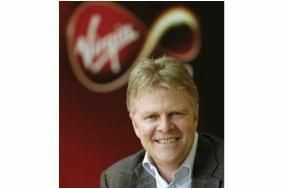 Virgin Media's CEO Neil Berkett (pictured) says that, "In terms of both convenience and value, our new music service will be superior to anything that's available online today and provides a fair deal for both consumers and artists. Under the scheme. set to launch later this year, music can be downloaded, kept forever and stored on any MP3-compatible device. Virgin adds that it's in negotiations with other UK major and independent labels, and hopes to offer an even more extensive catalogue by the time the service goes live. It's also thought there will be an entry-level service, available at a lower cost, giving more limited downloading rights. Virgin Media will also be taking steps to reduce the amount of illegal downloads it sees occurring over its broadband network. Sanctions for persistent offenders could include temporary suspension of access.